Thank you for your interest to become a very important part of the Miss Arab USA Pageant, and of even more significance, to be a part of what could be a momentous event in many of our contestants young lives. We have produced a very unique program that we define as “Pageantry With Purpose.” From the beginning, our judges panel has been made up of civic-minded individuals who are willing to contribute a weekend to this event. The Goal of this Pageant is to select a young honorable Arab woman to represent our Culture in the US for 12 months. Miss Arab USA pageant will be different than any other Pageants around the world. Swimsuit competition as well as body qualifications will not be in effect in our pageant. We pride ourselves on the Beauty of the Mind, as well as Community pride and education. The Pageant winner will be chosen based upon her general Elegance, Education and world knowledge, Skill set, Talents, Community involvement and service. We realize you’ve probably never done anything like this before. You’ll be in great company, as all of our judges are just like you, members of the community, whether it be from the social service sector, business and professionals, media and entertainment, or individuals representing the beauty industry in one capacity or another. Integrity – being honest and forthright. Diligence – taking this task seriously, affording all contestants equal time, attention and consideration. Fairness – setting aside your own preferences and making decisions based upon the criteria set forth by the organization. Unbiased—not allowing stereotypes or prejudices to influence your decisions. 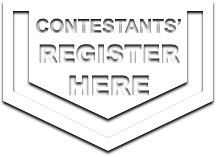 What does it mean to be invited to judge a Pageant? Being a judge is an honor. Over the next few months, our contestants will work very hard to get to this point. Judges are then entrusted with the power to change a contestant’s life, and we thank you for your interest in your community and your commitment to its’ youth through your participation in this event.  Day One: Personal Interview with the Judges. Beginning with a brief presentation given by the Pageant's Director, detailing all events related to the Pageant.  Day Two: Pageant Show, the following day. Includes Casual Wear, National Wear, Formal Wear, Talents and Semi Finals. By submitting this application I verify that the information listed above is true and correct, to the best of my knowledge. I agree to comply with the stipulations set forth in this application. I understand that my submitting serves as confirmation of my intent to serve on the judges panel. I understand that I'm responsible for all my travel & accommodation expenses. I also understand that this is a voluntary position considered as community service for a Charity Organization and there is no compensation paid.